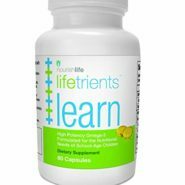 Lifetrients produces a line of research-based, highly purified products for children with special nutritional requirements. 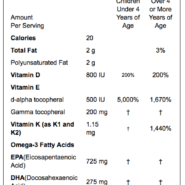 Research regarding Omega-3 and Vitamin E leave no room for controversy – our critical neural development relies on these nutrients. 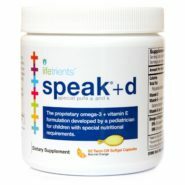 SpeechNutrients is designed after the research into child development showed how essential these vitamins and nutrients can be to normal speech and brain growth. 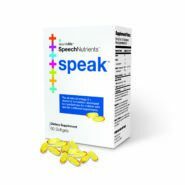 The speak® formulation includes seven nutrients in precise servings and ratios for children with special nutritional needs. 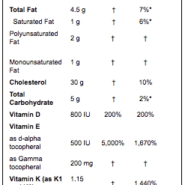 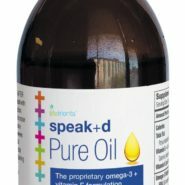 Each serving of speak® contains concentrated, ultra-purified omega-3 (725 mg EPA, 275 mg DHA) in addition to rich amounts of two forms of vitamin E. Omega-3 supports cognitive function and is paired with the antioxidant vitamin E. Optimal amounts of both d-alpha and gamma tocopherols function as key antioxidants and operate along omega-3 fats to support neurological health and provide essential nutrition. 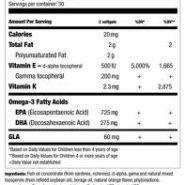 Due to the theoretical blood thinning effects of omega-3 and vitamin E, vitamin K (a normal and healthy blood clotting nutrient) is also included. 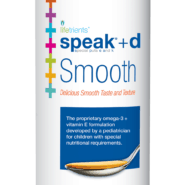 This precise combination of purified ingredients is delivered in convenient 2-capsule or 2-twist capsule servings, Pure Oil which can be poured directly from the bottle, or our delicious speak® Smooth in a 1 Tbsp serving resulting in greater ease of use for parents and children. 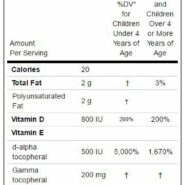 Developed by a pediatrician, the speak® formulation contains 7 nutrients in precise doses and ratios for children with special nutritional requirements. 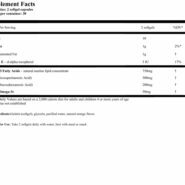 Our NEW Pure Oil contains the same oil in the capsules and twists with a light, lemon flavor that can be poured directly from the bottle.